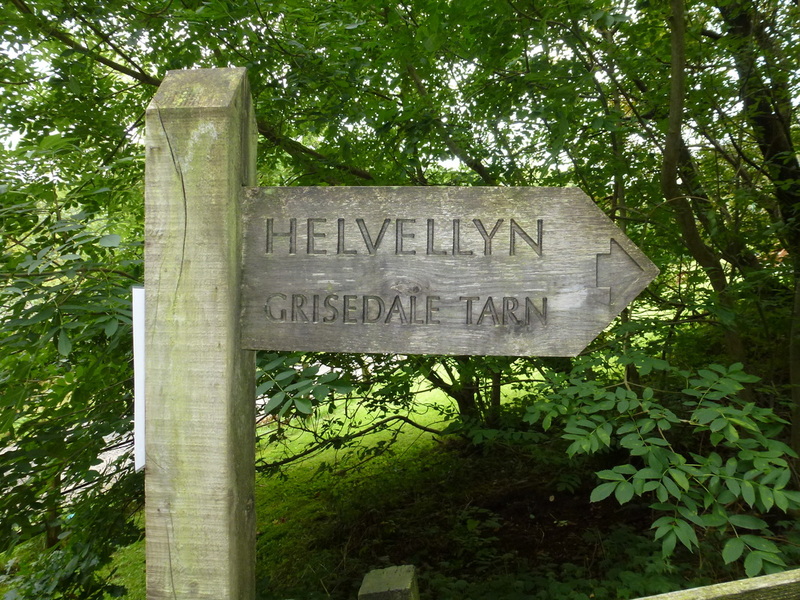 The weather bode well for us today therefore we were out and about really early in order to grab a parking place in Patterdale and make our first assault on Helvellyn. 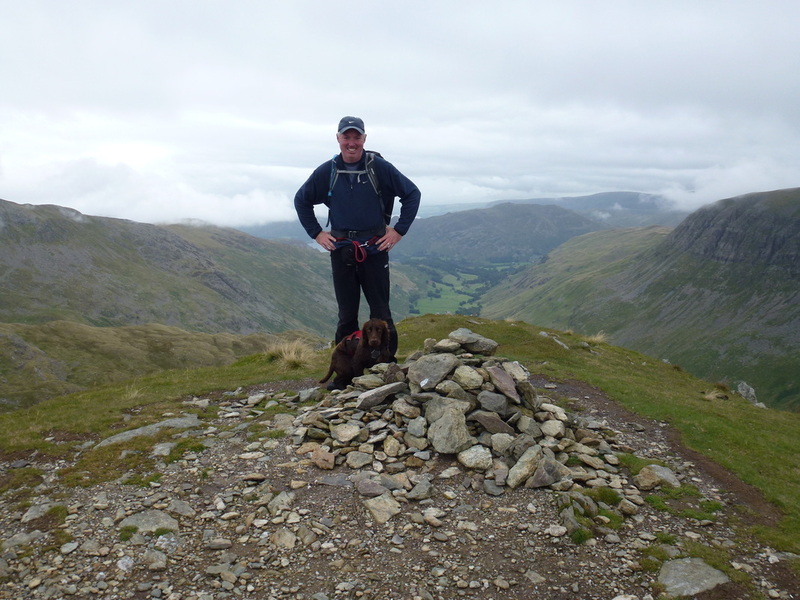 With a young dog there was no way we were going over either Striding or Swirral Edges today therefore the plan was to walk up the valley of Grisedale and come back via Keppel Cove and Glenridding. 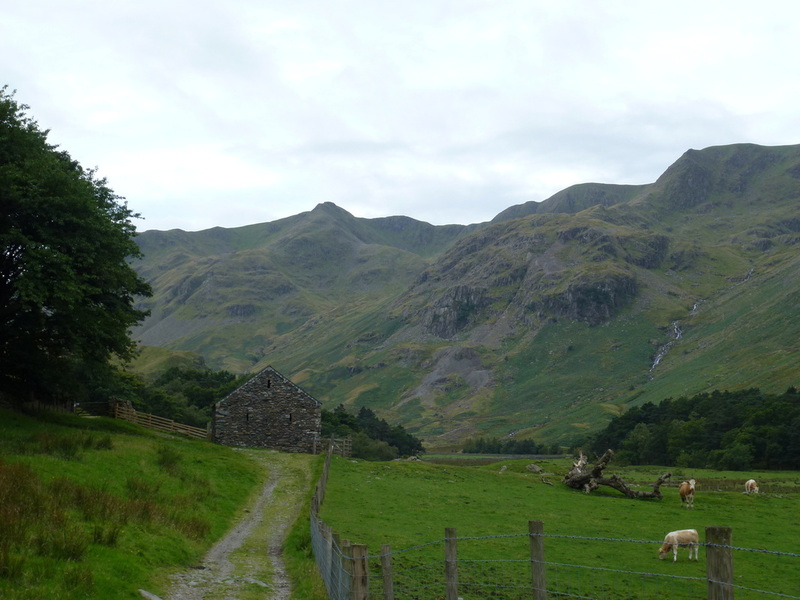 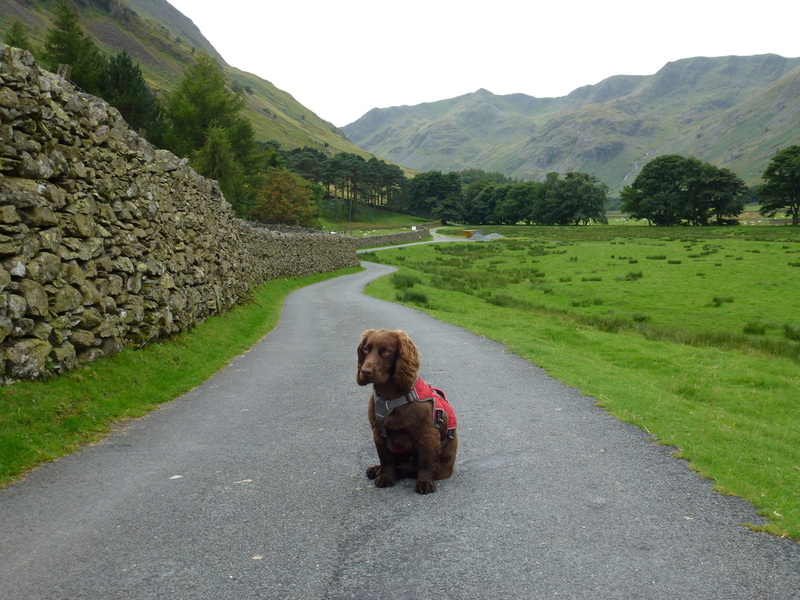 The walk up Grisedale is a long one but is idyllic. 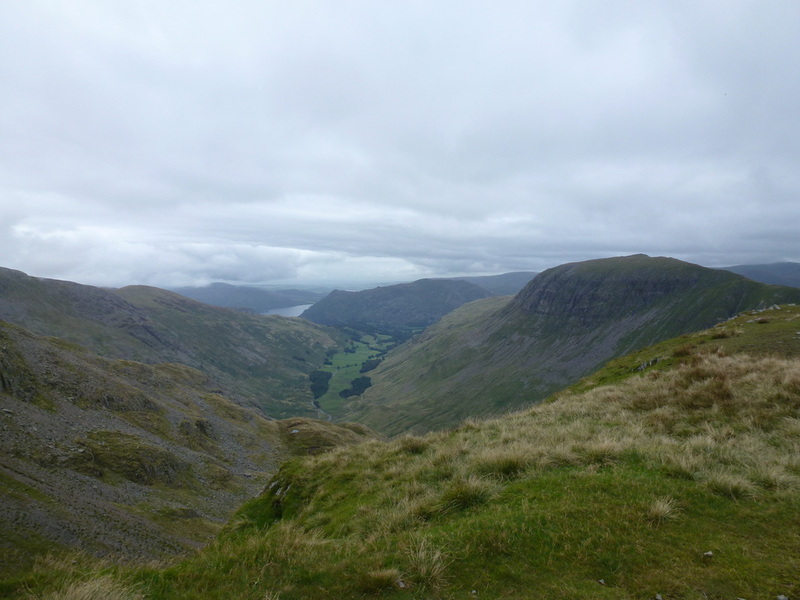 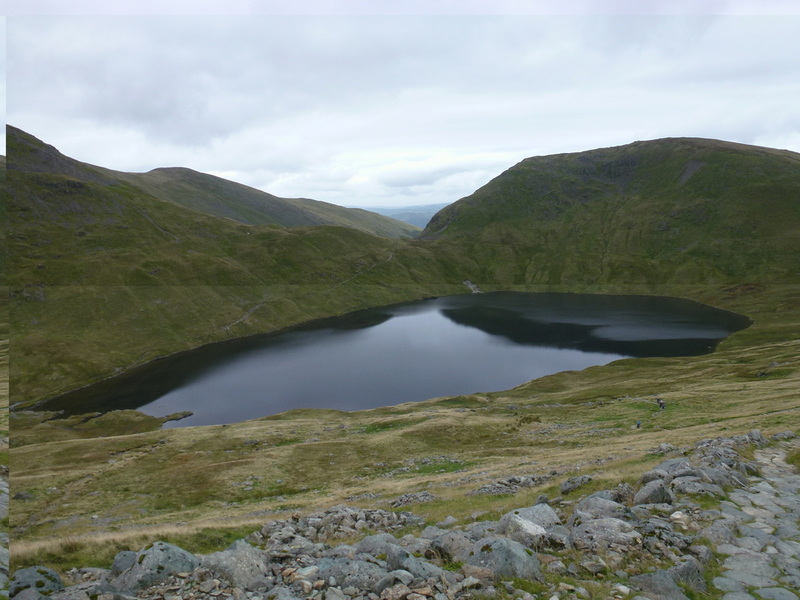 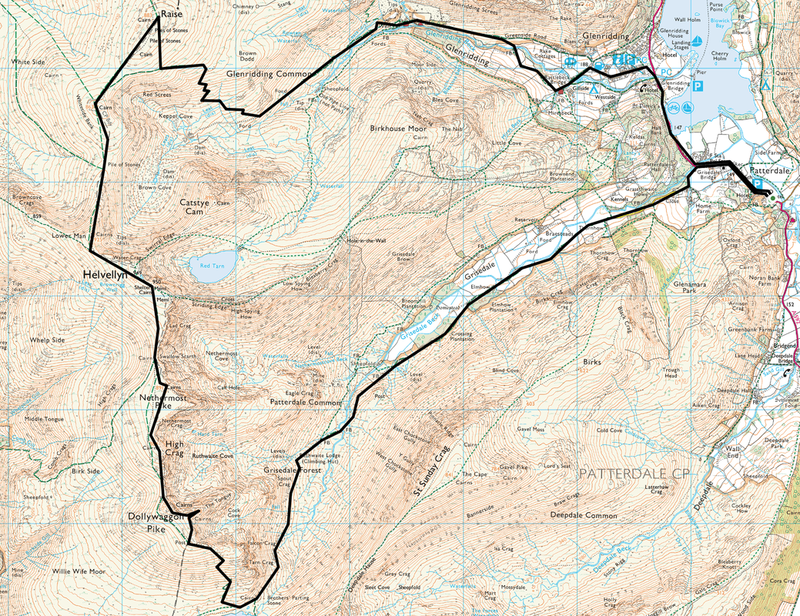 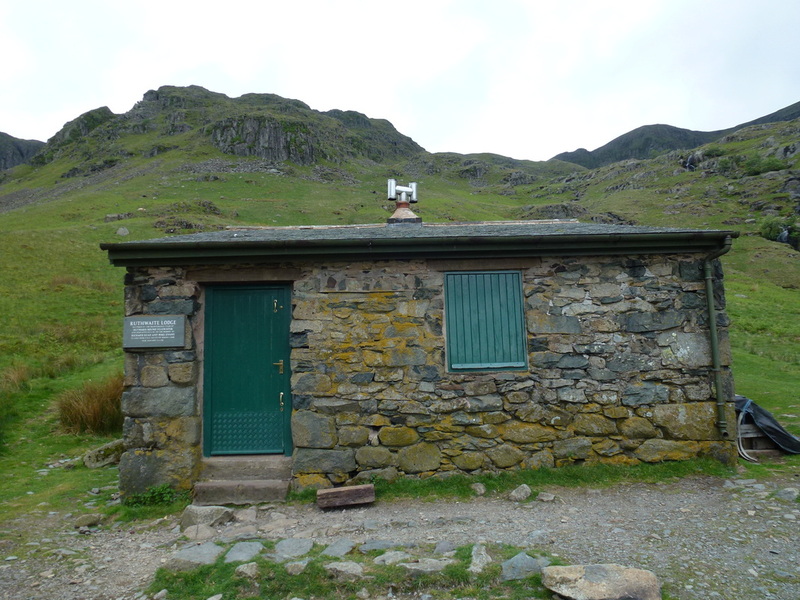 The views stretch out in front of you and, despite the 4 and a bit miles, all too soon we arrived at Grisedale Tarn. 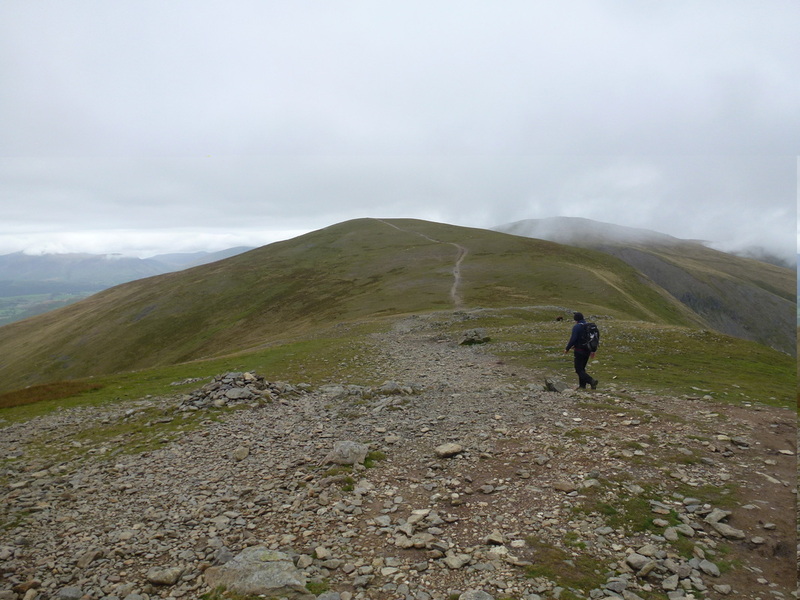 There were a few people ahead of us on the zigzag path up to Dollywagon Pike but not as many as we thought. 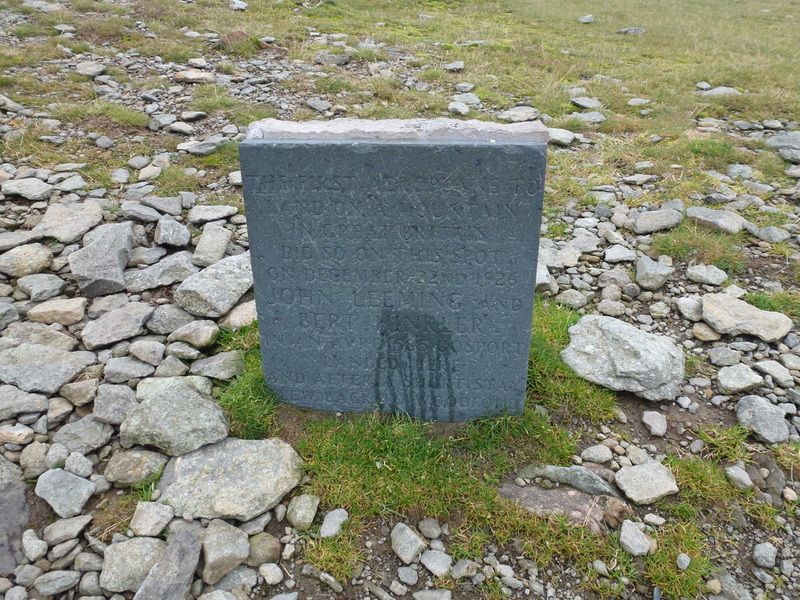 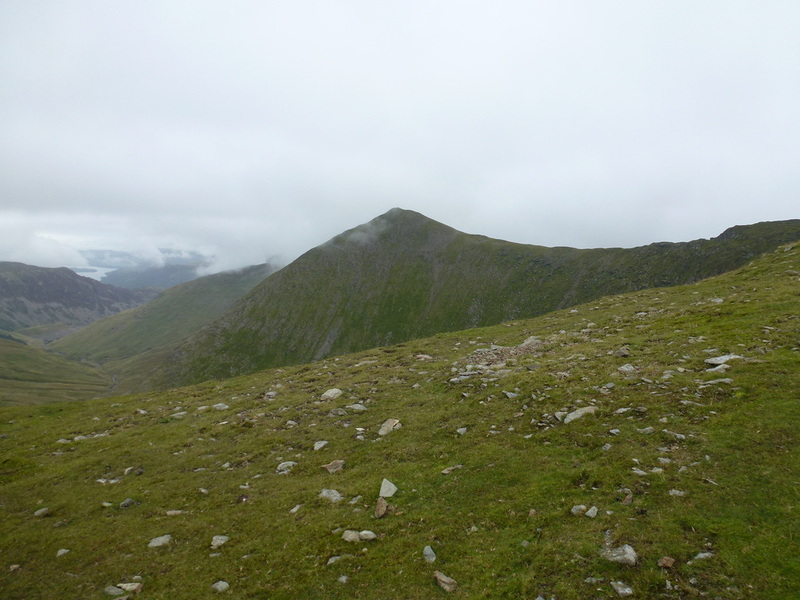 The path up to Dollywagon is as we expected - steep but with adequate rest we soon arrived at the Summit. 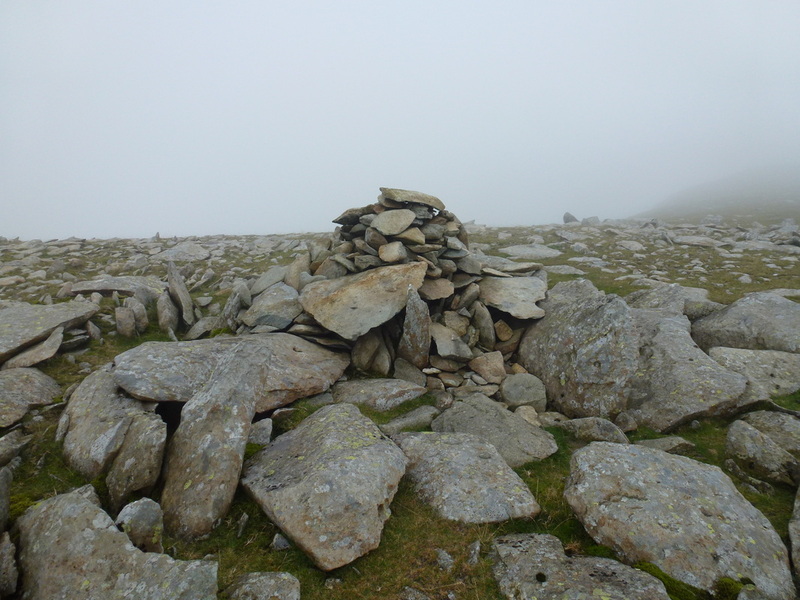 Leaving the summit our good visibility luck ran out and the cloud closed in leaving us with no view whatsoever from either Nethermost Pike or the Summit of Helvellyn. 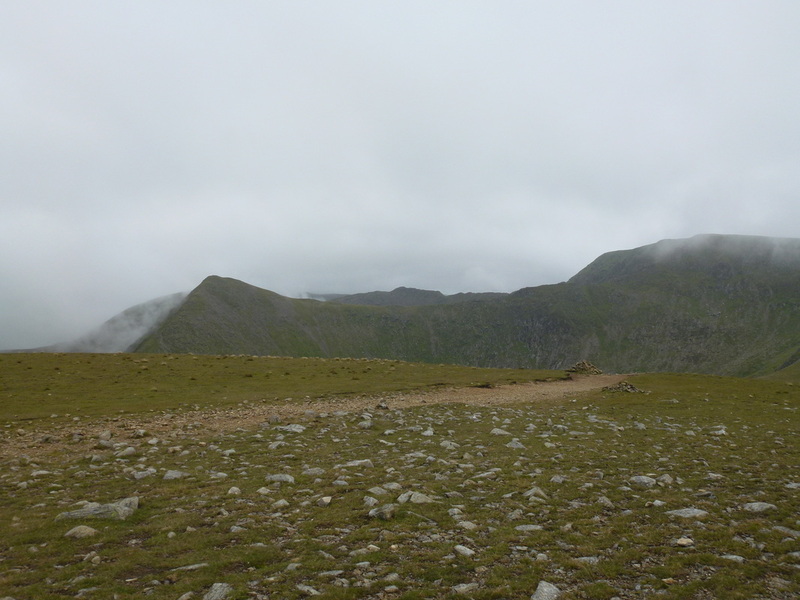 Approaching Helvellyn, we were now all too aware that there were a lot of people on the summit and, with no view to speak of we did not hang about, preferring to lunch in the relevant solitude of Helvellyn Lower Man a bit further on. 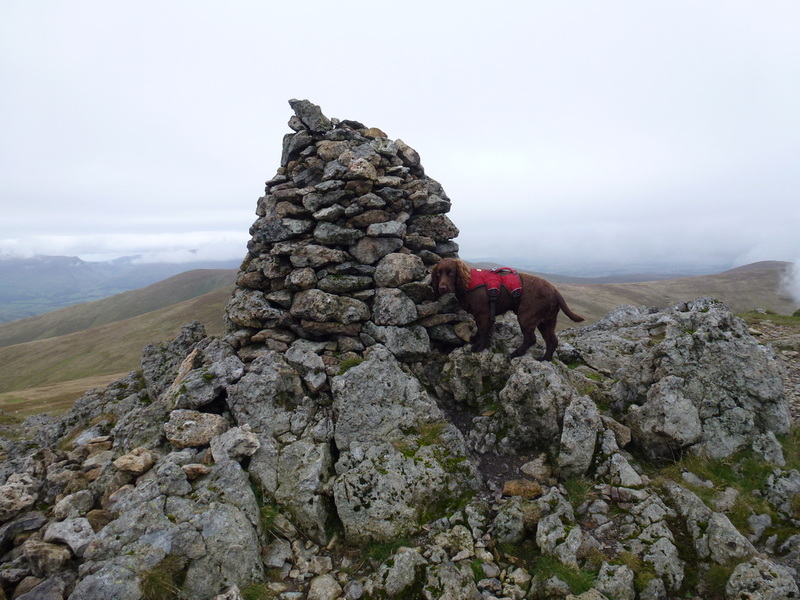 Suitably refreshed, we made our way down to White Side and on to one of our favourite summits Raise which gave a good view down to the Sticks Pass and over to The Dodds. 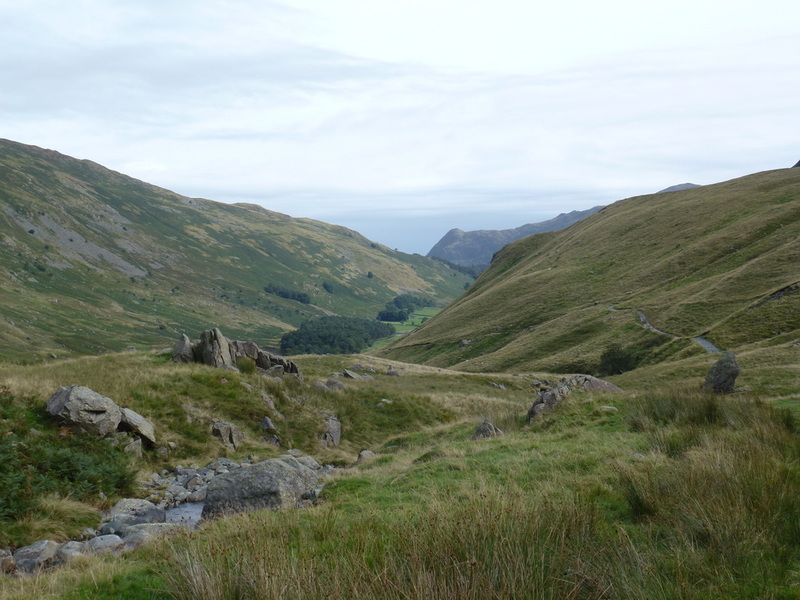 We then doubled back slightly and made our way over pathless terrain to pick up the path down to near Keppel Cove which eventually took us along the valley bottom back to Gelnridding for the short walk back to Patterdale. 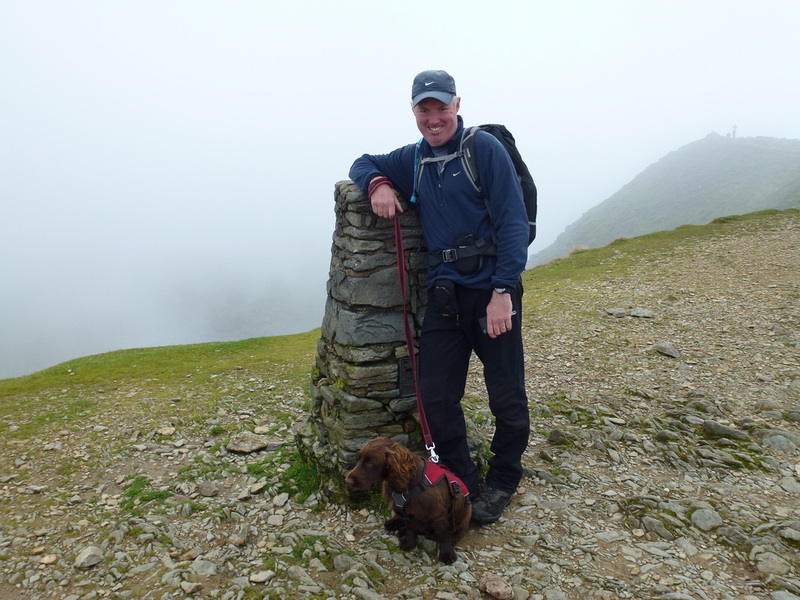 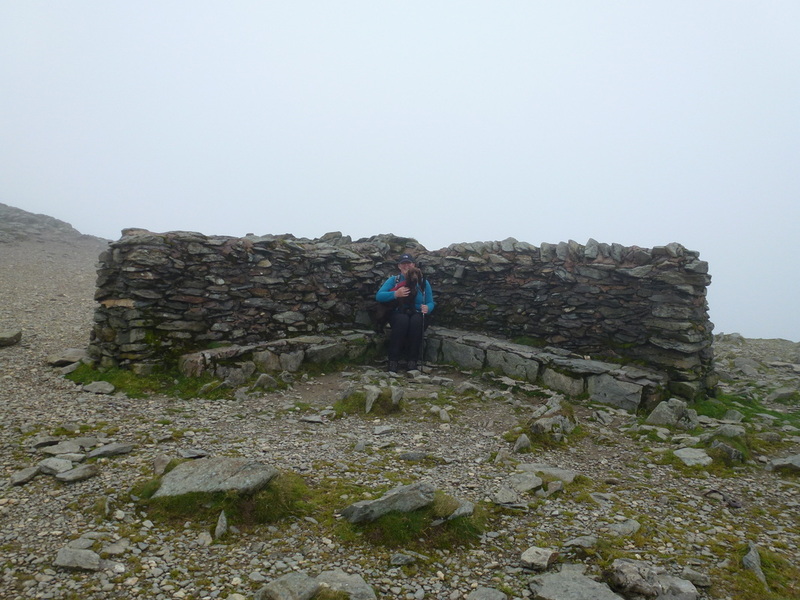 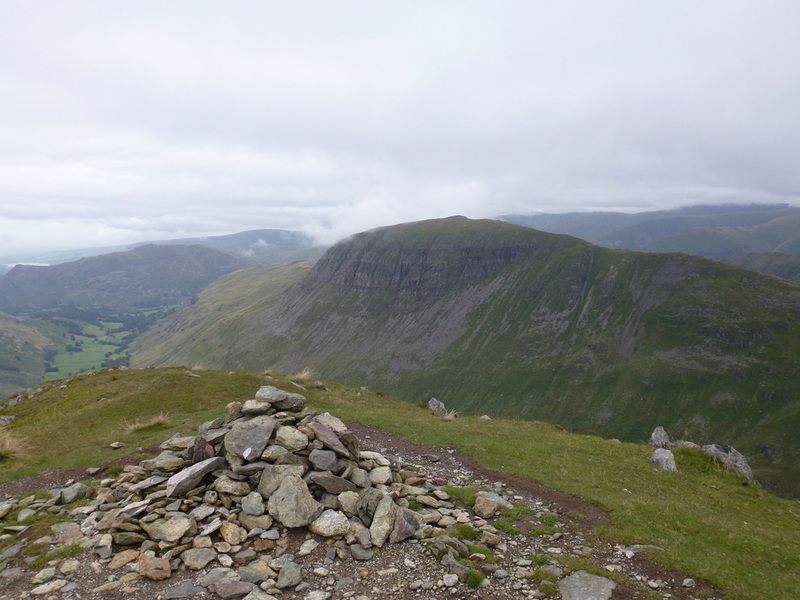 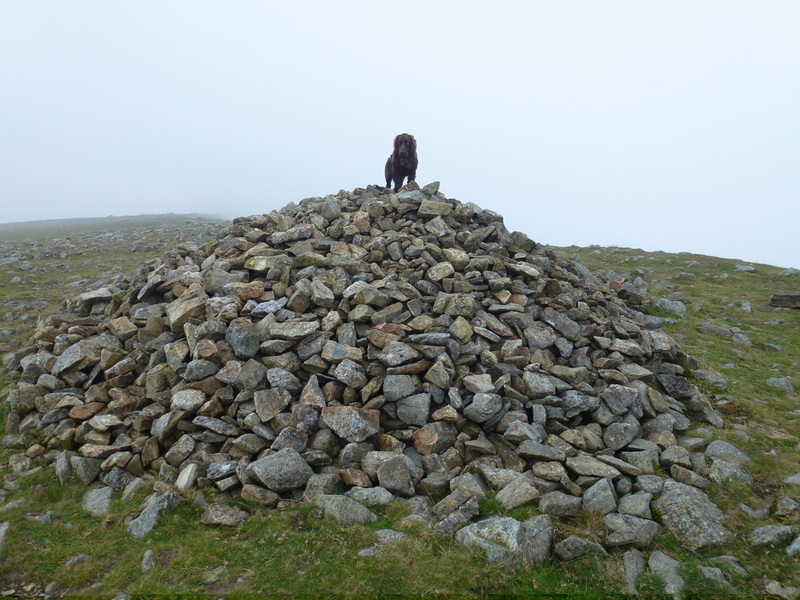 An enjoyable day out despite the crowds and poor visibility on Helvellyn. 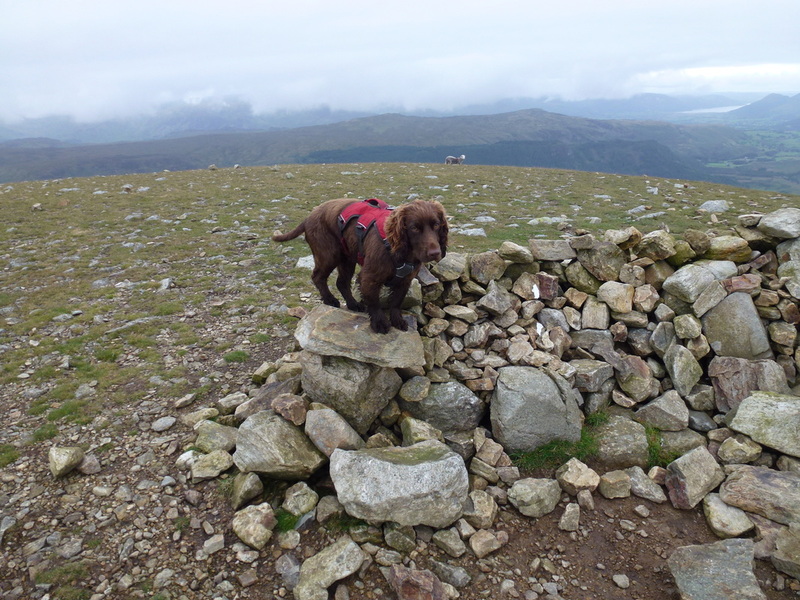 Fudge was told off for this!! 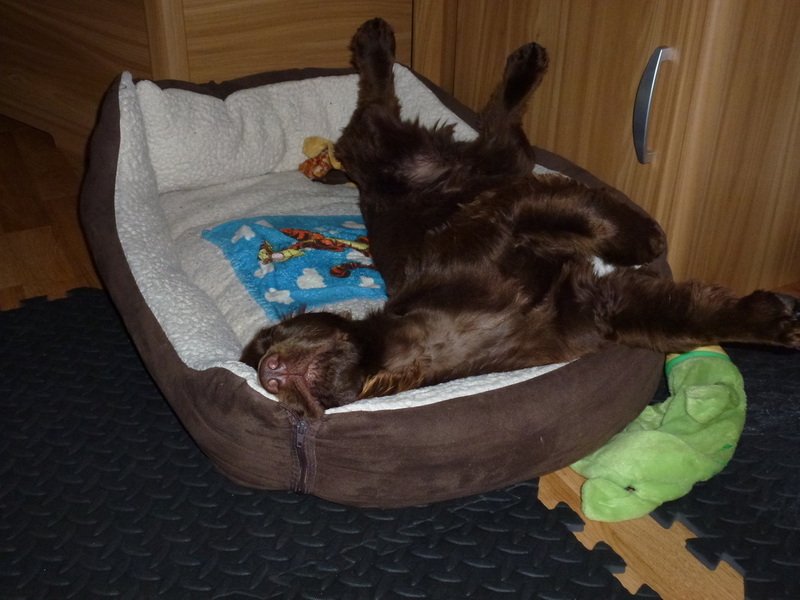 Had a hard day Fudge?